This is one of those things that I only just realized, but is so obvious. Count the cineverses, which I define as distinct properties existing within the same cinematic continuity. 1: The Marvel Cinematic Universe. 2: The DC Extended Universe. 4: Sony’s Spider-Man Universe (pending redevelopment and release). 5: The Arrowverse on the CW network. 6: The DC Animated Original Movies. 7: The Valiant universe (pending development and release, also by Sony and their partners). That’s quite a few, and with more to come, no doubt. One can’t help but be impressed with how Marvel’s original concept has taken flight to inspire so much work. Surely they, the creators of the first cineverse, will go down in history for their revolutionary thinking. …except, one little detail: they didn’t come up with the idea. The story begins, as it always does, with one idea. DC and Warner Bros allowed the brilliant minds of Bruce Timm and Eric Radomski to create a cartoon unlike any before it. Up to this point, the industry of televised animation, especially superheroes, and basically everything targeted for children, was going a bit stagnant. When Timm and Radomski produced Batman: The Animated Series in 1992, they breathed new life into all of that. It was a quality show, one that pushed animation forward by leaps and bounds, and one that challenged the limitation that everything “child-friendly” also had to lack anything emotionally, intellectually, or psychologically substantive. Small wonder it became so popular, it was the Snow White and the Seven Dwarves of industry. The success spurred the development of several properties which the creators chose to set all in the same continuity, the same universe. 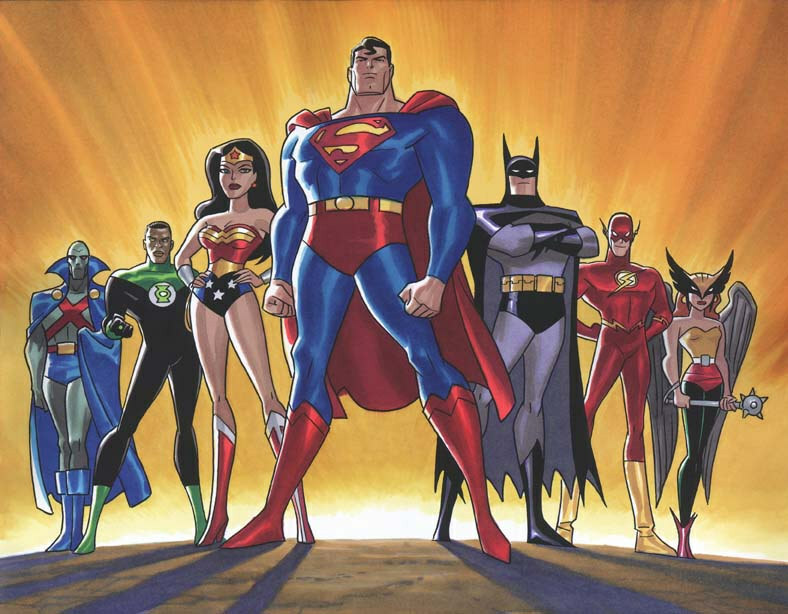 Over the course of fourteen years, through televised shows and accompanying movies, the DC Animated Universe, or DCAU for short, became a cinematic universe in its own right, long before the phrase ever existed. 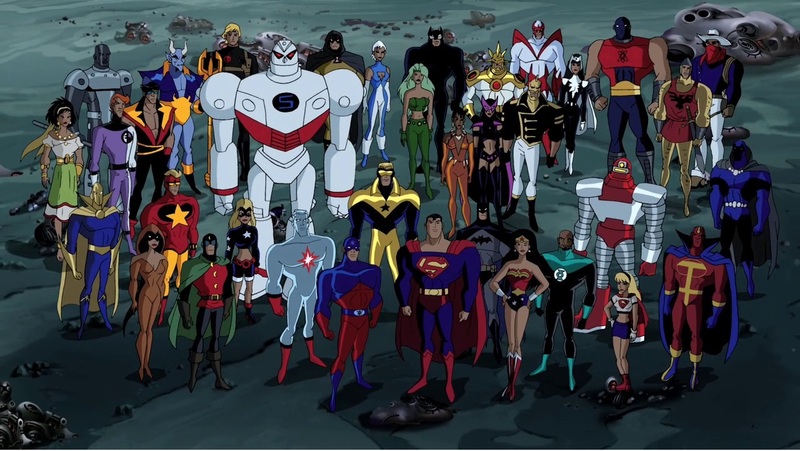 Among the properties they released, the DCAU features Batman: The Animated Series, Superman: The Animated Series, The New Batman Adventures, Batman Beyond, Static Shock, The Zeta Project, and, the crescendo of all that came before firmly tying them all together, Justice League and Justice League Unlimited. Over the course of these, the animation improved, the storytelling improved, the ideas dealt with became deeper and more diverse… basically, they began the saga by pushing the envelope, and they kept doing so right up to the very last conclusion. Interestingly, DCAU’s run more than overlapped with the reinvigorating of the superhero genre on the big screen as well. Concluding in 2006, it observed the release of X-Men in 2000, Spider-Man in 2002, and Batman Begins in 2005. And it ends, still going strong, only two years before the release of Iron Man and the beginning of the MCU in 2008. I submit that none of these, most especially the intentional creation of a cineverse, may have never occurred without the influence of the DCAU. It shaped and cultivated young minds which grew to become adult minds, preparing them not only for greater superhero cinema, but to accept and appreciate connections between a variety of distinct properties as well. Thus, I dub the DCAU as patient zero, or Cineverse Zero, where the very idea of a shared cinematic universe gradually came into being with its ongoing development. It did not begin that way, but it became such. This entry was posted in Cineversity, Discussion and tagged DC Animated Universe, MCU Copycatting. Bookmark the permalink.